How are you all doing? As you might have noticed, there were no updates posted for the last two weeks. I was travelling for a week and got busy studying the second one, but I’m finally here to fully update the website. Som really exciting news to share! As previously promised, I also started working on The Hobbit: The Desolation of Smaug photos, and screencapping these few movies we don’t have photos from yet. You can now read all the latest updates from Lee Pace Network on two more networks – tumblr and facebook. Click here to follow us on tumblr and here to like our facebook page. Lee Pace Network is going on a short hiatus – I’ll spend the next 2 weeks working with kids that have health issues. I’ve been volunteering there before, so I know there’s no internet connection, and even if I found one, it’s my responsibility to take care of my new friends 24/7. Once I’m back, I’ll add Licoln screencaptures (about time) and replace many MQ photos with the HQ version. See you soon. I thought it was time for a new look at our website. How do you all like it? I hope you find it as amazing as I do. The theme was designed by one of the most talented designers out there, Flor. If you get any errors, please let me know. Enjoy! I hope you all enjoyed your holidays. My name is Ursa and I’m very happy to inform you that I’ve adopted this wonderful site from Gel and Ali. They did an incredible job on it and I’m really looking forward to keeping you posted on very talented Lee, who is currently in New York finishing “Golden Age” play. Thank you for visiting and stay tuned for more updates. First off, thanks so much to the awesome Tran (If you’re looking for a gorgeous layout, she’s your designer! ), LPN finally has a new layout! Now, I’ll be able to completely work on the site’s pages including a fully detailed Filmography/Career section. So look out for that. Secondly, new stills from Lee’s film “Ceremony” have been added to the gallery. Enjoy! 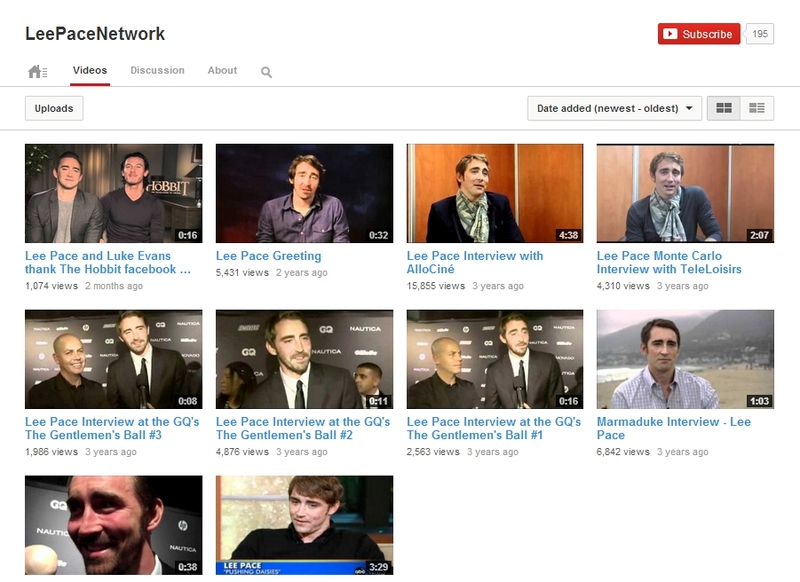 Welcome to Lee Pace Network! Welcome to the grand re-opening of Lee Pace Network! Thanks so much to the wonderful Gertie for letting me adopt this site. Unfortunately, everything from the previous site was lost, so I’ll be re uploading a ton of stuff, including images in the gallery. In the meantime, I have made captures of Lee in Marmaduke. Unfortunately, there were no special features, so caps from the movie have only been added to the gallery.